Is Your Website Really On Page One? Is Your Website Really on Page One? Why is that when you Google your business it appears on page 1 of Google but when someone else searches they get different results? Quite often when speaking with businesses they think all is good with their Business rankings on search results, because when they Google their business it is showing up on page 1 or page 2 of the results. What looks to be a great result isn’t always what it seems. Why’s My Website on Page 1 Only Sometimes? Google manipulates results on your browsing history returning what it thinks you are mostly interested in. It doesn’t matter if you are signed in to Google or not these results are manipulated for you. Sounds a bit ‘big brother’, well maybe yes but it’s only trying to help. By learning what you search for it will tailor the results to what Google thinks is most relevant to you. So naturally you are interested in your own business, we have all done it, and should do it, we try to Google our business to see where we are in Google land. We might try a number of permutations to see how we are fairing and when it pops up we can’t resist clicking on our weblink just to make sure it all works fine. But the more we do this the more Google thinks this is what you want to see and so adds it to your Google Web History and places it on page 1 for next time you search for your Business or keywords to do with your business. You can clear your browsing history (this will depend on the browser you are using) but for Google see this article on clearing web browsing history. The easiest way and the way I would recommend is to go incognito or open private viewing tab and search the term again. You will probably be surprised or even horrified at the results, you might be a lot lower ranking than you thought. So Why Am I Not Ranking Higher? This entry was posted in SEO on June 19, 2015 by Mick Kenyon. What are micro moments and how does it affect marketing particularly within the accommodation business? Welcome to the new buzz term ‘micro moments’, this is when you are waiting for something like queuing up for a bus or train or waiting in a clothes shop for your loved one to finish trying on all the dresses in a store (okay that’s probably a bit longer than a micro moment!) and you get out your mobile phone and browse. 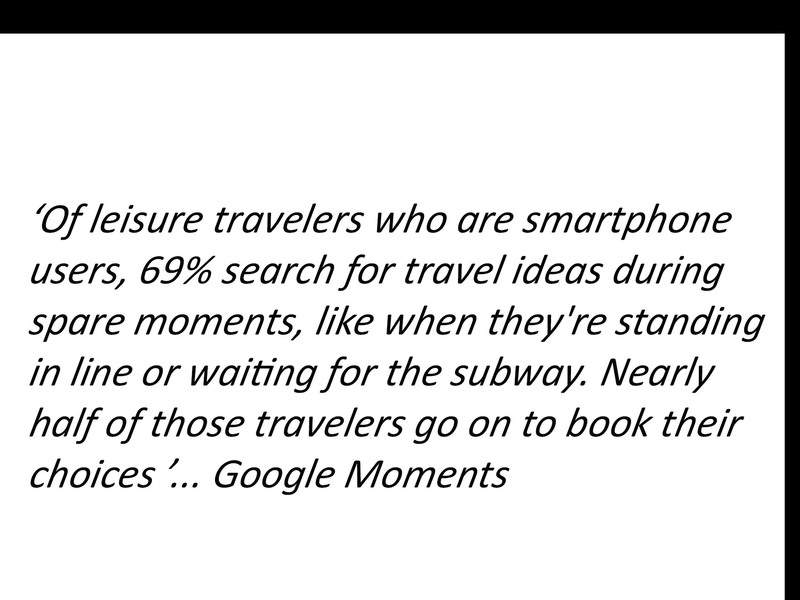 Google have announced that 69% of these micro moments are spent looking at travel ideas, that’s a massive potential for travel industry to tap into a market, particularly when you consider over 30% then go on to book. How to make the most out of Micro Moments for Your Accommodation Business. Make sure your website is mobile friendly, all these micro moments are performed using a mobile device (people are unlikely to carry around the PC for micro moments). Make sure your website also has a secure online booking facility, there are free ones out there that can pretty easily be added to your website. Great photos help sell the product, make them unique and great quality so they make you stand out from the crowd. Also make sure they look good on a mobile, not all photos do, you usually find those images that fill the screen look best. 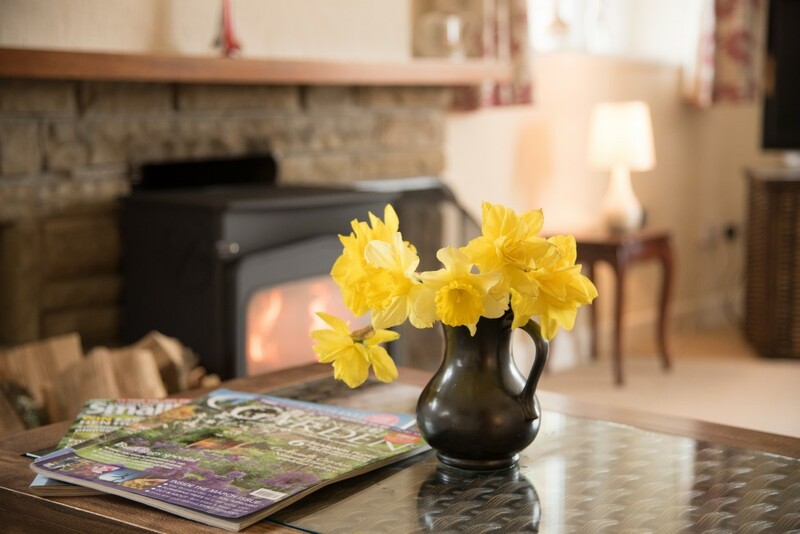 SEO (search engine optimisation), the accommodation business is very competative and non more so than on search engines, keywords are often around £5.00 each on add words so getting your SEO is key. Use Social media to also increase your visibility, not forgetting making sure your Google+ business page is fully set up and optimised. This entry was posted in Marketing, SEO on June 12, 2015 by Mick Kenyon. How to Blog– To create that perfect blog firstly the content should be unique and interesting and you will need a photo or two to help. But thats only the start, you will want to layout the page so people searching on the internet can also find the subject you are writing the blog about. So in this example, I am using the term or phrase ‘How to Blog’ to show you ‘how to blog’! # The next thing is to do is ensure that the phrase you are blogging about is included in the first sentence of your blog. # I like to add a photograph or infographic after the first paragraph, search engines can’t read photographs so you need to tell them about the photograph. When adding photos, name the photograph something that is meaningful ( e.g in my case ‘blog’) make sure you also add an ‘alt tag’, you might want to use your blog title as the Alt tag. If you can, also add the description fields into the metadata of the photograph or infographic. Before your publish your blog also add a meta-description, this is what the search engines will display next to a link to your post on search engine result pages. Make it descriptive about your post in less than 156 characters. Once published don’t forget to shout about it, use social media to link to your posts, facebook, Google+ and twitter are all good for doing this. Ideally get the key phrase into your blog about six times. Try not to repeat it much more than this as it might be deemed as ‘keyword stuffing’, and this usually results in a less well optimised page. The post should have a minimum of about 300 words, and not much more than 500 words. It is also a good idea to reference other sources of information and include links to trustworthy sources of information websites. H1 = How to blog ________________________________________________________________________________________________________________________________ how to blog. _______________________________________________________________________________________________________________________________________________ blog ___________________________________________________________________________________________________________________________how to blog. This entry was posted in SEO and tagged blog tips, blogging, How to Blog, page layout on June 8, 2015 by Mick Kenyon. How to get your Website noticed. If you were to ask this question to a lot of experts they would probably say get good SEO (Search Engine Optimisation). Well they are not wrong but I would also add you need to increase your visibility which is far more broad reaching than just SEO for your website. 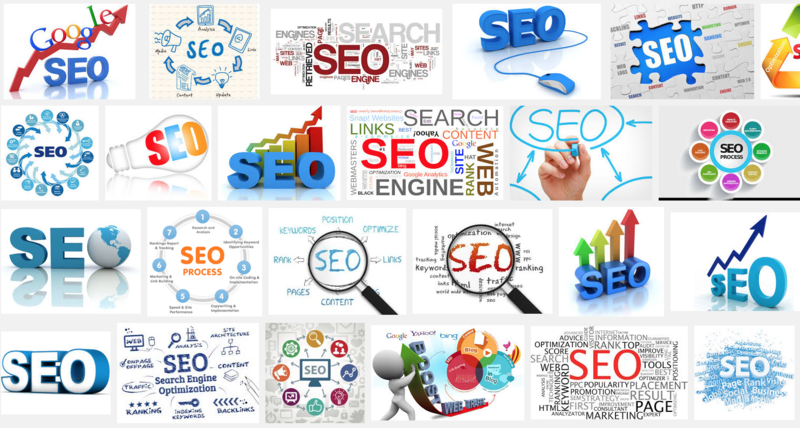 So lets have a look at what I mean by broadening your visibility on the web, leaving the subject of traditional SEO until last. How do you increase visibility on the web? Well to get your website noticed you need to create interest and this comes in many forms. There are loads of social media websites (facebook, twitter, pinterest, linkdin etc etc.) but before you go and sign up to them all just take a minute to think about it. Your website is possible aimed at certain interest groups, these might be targeted by age and location as well as interests. Have a think about what type of social media tool your customers may use (example teens probably like snapchat – older customers probably have never heard of it! ), use the same tools as your customers. Use tools that you can target your audience (facebook campaigns and twitter advanced search are pretty good at this). Don’t overdo signing up to all social media sites, you just wont keep up to them all, instead pick 2 or 3 and make sure you keep active on them. This one gets a special mention even though it is technically a social media site, it is also a very important social media site as it helps your visibility on search! Once you have a Google+ account consider setting up a Google my Business account, get this verified and make sure you get a 100% complete profile. Google takes this information and populates Google Local searches with it (opening hours, telephone numbers, website address etc.) plus once you get your head around it, it isn’t as bad as some people might say, and it has some pretty great tools! Blog about a subject that you are an expert in and then share a link to it from the social media account you have just set up! The idea here is that people will like what you are writing and want to share it. This is sometimes known as citations, people saying check this great blog out by you. Consider adding a blog into your website, wordpress can usually be embedded quite easily particularly if your website has cpanel. Don’t copy someone else’s work, keep it unique and good quality. Don’t try to trick google by getting other sites to add links to your website from poor quality websites. Allow comments and respond (even to bad comments). Show your real, demonstrate by showing videos and photos of you and your business. Encourage customers to leave feedback on quality review sites(google+, tripadvisor etc. ) and keep being interactive on your website and social media. If you needed a business in the area where would you search? Probably some sort of directory, get your business added to the good quality ones (Yell, Thompson, Scoot, etc.) often these sites will add links to your website, make sure the directory has a good ranking. Don’t ever be tempted to subscribe to bulk link websites (those that sell 1000 ‘quality website links for £5). they are tosh and can damage your rankings! 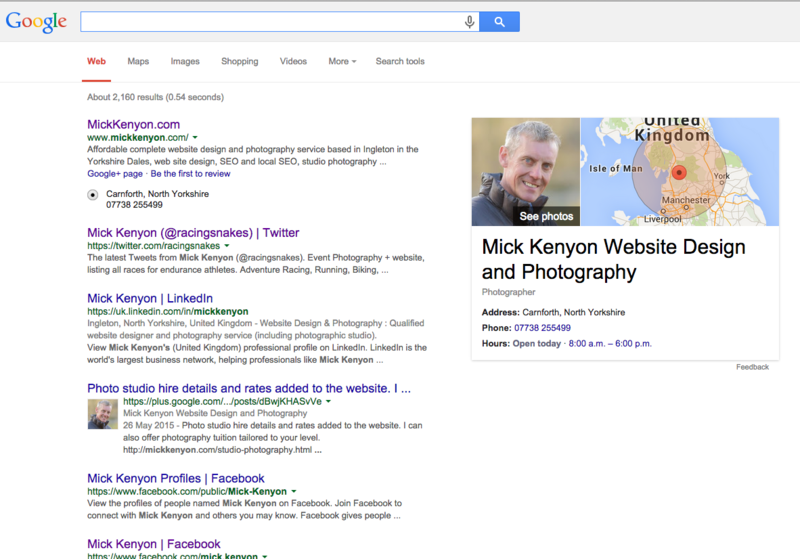 This entry was posted in SEO and tagged Google, SEO, social media, Visibility, website on June 3, 2015 by Mick Kenyon.